I have a client who has been super busy growing her Mary Kay business and I have been blessed to be able to help her with lots of invitations for Executive Coffees, A Girl's Night In, Women in Leadership Brunch and the most recent a Christmas Open House. 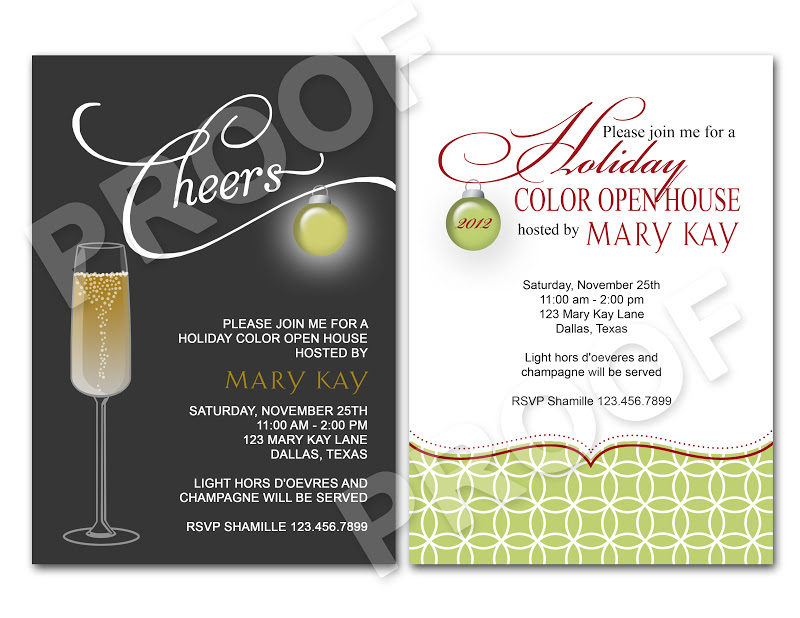 Here are two invites that I made for her event. If you would like to use one of these invites for a Christmas Open House or want a custom design to help your business grow contact Paper Perfection at jtanddolly@yahoo.com for pricing and details.